AAP on Saturday announced that alliance is not possible with the Congress as the latter wants the tie-up to remain confined to the national capital and not extending to Haryana. A scuffle broke out during an election rally of Congress leader Hardik Patel Nikol area of Gujarat’s Ahmedabad. The area is part of Ahmedabad East Lok Sabha constituency. TMC writes to Election Commission against Ajay V Nayak, special observer for West Bengal in Lok Sabha Elections 2019, for his reported comments. In the letter, the party had raised objections over his comments and sought cancellation of his appointment. The Election Commission on Saturday issued a notice to Punjab Minister Navjot Singh Sidhu for his controversial comments during an election rally in Bihar’s Katihar on April 16. Punjab Chief Minister on Friday slammed Bharatiya Janata Party (BJP) Bhopal candidate Sadhvi Pragya Singh Thakur over her controversial remarks on former Anti-Terror Squad (ATS) chief late Hemant Karkare. 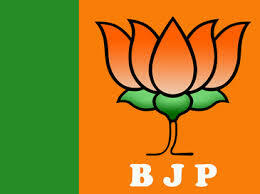 Gujarat will go to polls on April 23 in a single phase for all the 26 Lok Sabha seats. The counting of votes will take place on May 23. Bharatiya Janata Party (BJP) Karnataka chief BS Yeddyurappa took a dig at former Prime Minister HD Deve Gowda on Friday a day after the Janata Dal-Secular (JDS) chief said he was ready to sit by "Rahul Gandhi's side if he becomes Prime Minister". Both the TMC and the BJP are working hard to woo the Matuas, a Scheduled Caste community, mostly comprising backward class Hindus who migrated from Bangladesh. Taking a jibe at former prime minister HD Deve Gowda, BJP leader and former Karnataka chief minister BS Yeddyurappa said that though Gowda's party is contesting only on a few seats in the state, he is nursing ambitions of becoming the Prime Minister of the country, or at least an advisor to the PM.